Dresdner Robin announced the completion of its engineering and general design work on a $25 million, 110,000 s/f expansion of the Baldor Specialty Foods headquarters, storage and distribution facility in Hunts Point, N.Y. The design increased floor space to 270,000 s/f, creating 300 new jobs and adding over 50 new delivery trucks to accommodate increased production. 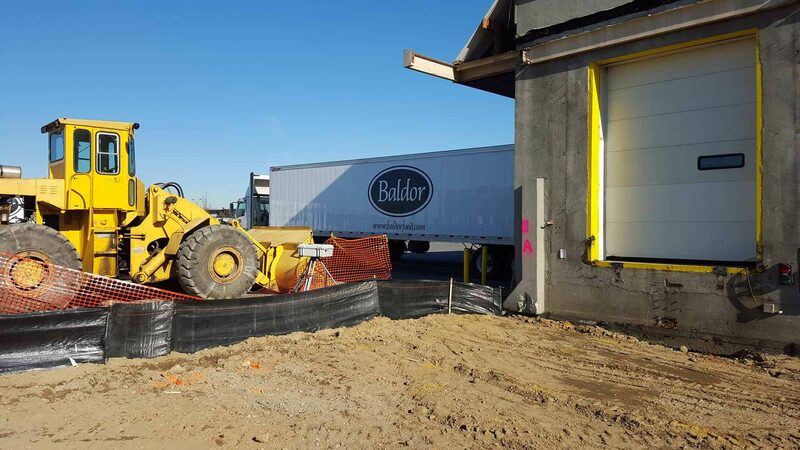 “This expansion will help Baldor increase its product lines with new fruits and produce to serve the area’s top restaurants and grocery stores,” said Michael Muzyk, president, Baldor Specialty Foods. Baldor Specialty Foods is one of the largest importers and distributors of fresh produce and specialty foods in the Northeast and Mid-Atlantic regions, employing nearly 1,600 people. It delivers fresh produce, meats, dairy and organics to stores and restaurants within a 120-mile radius of Hunts Point “We are very happy that our innovative design will help Baldor better serve its diverse set of customers,” says Joseph Mele, director of engineering, Dresdner Robin. The construction and engineering is being done in two phases. The first phase of the expansion is complete and is fully operational. Construction is nearing completion on the second phase, with 30 additional loading docks being added to the facility. Beginning work in 2015, the firm created a multi-phase plan for design and construction at the site. The parcel of land is owned by the New York Economic Development Corporation, so Dresdner Robin worked with the city to gain approvals and permits on all construction and engineering services on the site. Dresdner Robin partnered with the architectural firm, Cybul Cybul Wilhelm (CCW), on the design.